Typically, freedivers are in pursuit of a longer time underwater and a deeper dive. Andrea, a No-Limit Freediver holds several various records and specializes in record deep dives (No-Limits). He developed new Equalizing techniques that are a prerequisite for the rapid descent. By studying our organs and their behaviors under pressure, Andrea and his team of specialists created new methods. Through extensive preparations and a uniquely developed exercise program, he maintains control during rapid descent. Andrea reviewed existing equalizing techniques to optimize protocols with the overall objective to increase descent speeds and reach new depths. Latest, he developed a program around awareness whilst freediving. Zuccari holds two no limits tandem world records and two Italian records ( -185 mt. No Limits and 135 mt. Variable). In the last 10 years, he set 10 Swiss National Records in CWT, CNF, and FI, as well as four Italian national records. 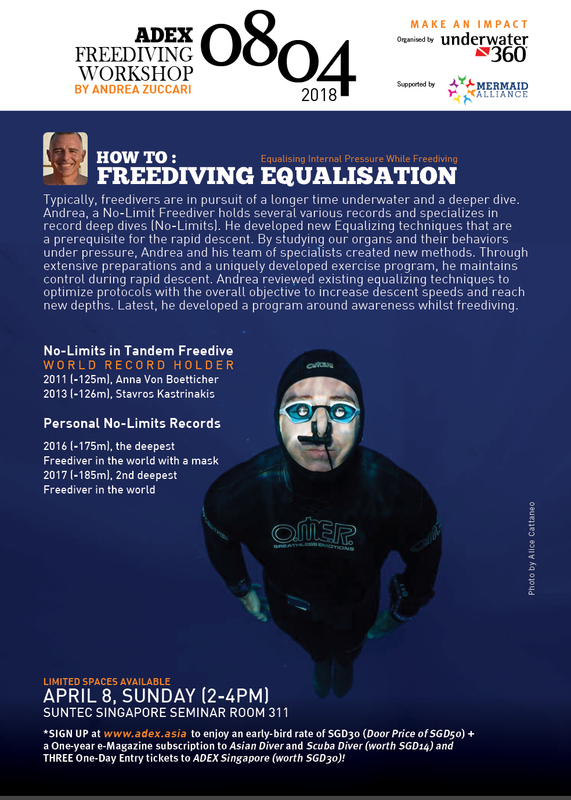 In 2013, Andrea founded Freediving World APNEA in Sharm El Sheikh and in 2017, he launched his highly successful Equalization Academy; an innovative didactic approach regarding diver/freediver equalisation. At ADEX, Andrea will talk about his world record attempt and share his expertise in breathing and equalising.